After finalizing her divorce with ex-husband Daniel Sit(薛世恒) and finishing her contract with TVB, actress Fala Chen(陳法拉) enrolled into the graduate degree program in drama at the prestigious Juilliard School in New York. She recently returned back to Hong Kong during her summer break to collaborate with Dayo Wong(黃子華) on a stage-play titled "Skylight(前度)". Emmanuel Straschnov. Fala's new French boyfriend was a graduate from Harvard and he can speak fluent Mandarin. As stated by the report, he gave himself the Chinese name "Szema Lok(司馬諾)". He's currently the founder for an mobile app company called Bubble. It is said the two have been dating for about 6 months. 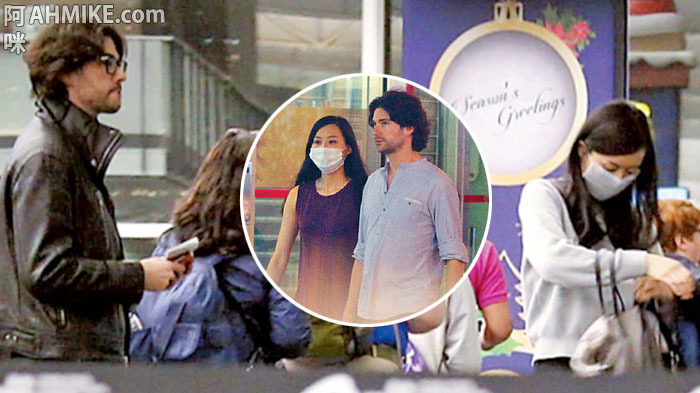 In order to protect the relationship, Fala has been keeping quiet about her dating life. Earlier in June this year, Fala was seen on a late night date with him. (ahmike.com) After finishing the stage-play, Fala didn't return back to New York but instead secretly left Hong Kong with her boyfriend for a trip in Europe before the new school year begins in September. On the other hand, ex-husband Daniel reportedly has always wanted to reconcile with Fala. Although he's currently dating someone for 5 months, it is said he's waiting for Fala to change her mind. The media also tried to contact Fala about the report but failed to get a reply.